Here at Byrdie, we're fans of Blake Lively. First and foremost, we're fans of her numerous TV and film roles (Gossip Girl is a classic, okay?). We're also fans of the sweet and goofy relationship she and her husband, Ryan Reynolds, have. Then there's the myriad stunning hairstyles and makeup looks she's sported over the years. (Did you catch her Met Gala look this year? She's a professional on the red carpet). Yep, like we said, we're fans. While we've always admired her from afar, we now have the inside scoop on things like her makeup routine and personality. As for the latter, spoiler alert: She's just as genuine as she appears to be on screen. That's according to Lively's longtime friend and expert makeup artist, Kristofer Buckle, who just opened up to Refinery29 on his career working alongside her. He dished on their memorable moments, her evolving beauty style, and her favorite $18 lipstick. Keep scrolling to see what he had to say. Buckle, whose other celeb clients include Kelly Ripa, Mariah Carey, and Lucy Liu, said he first met Lively on a magazine cover shoot. 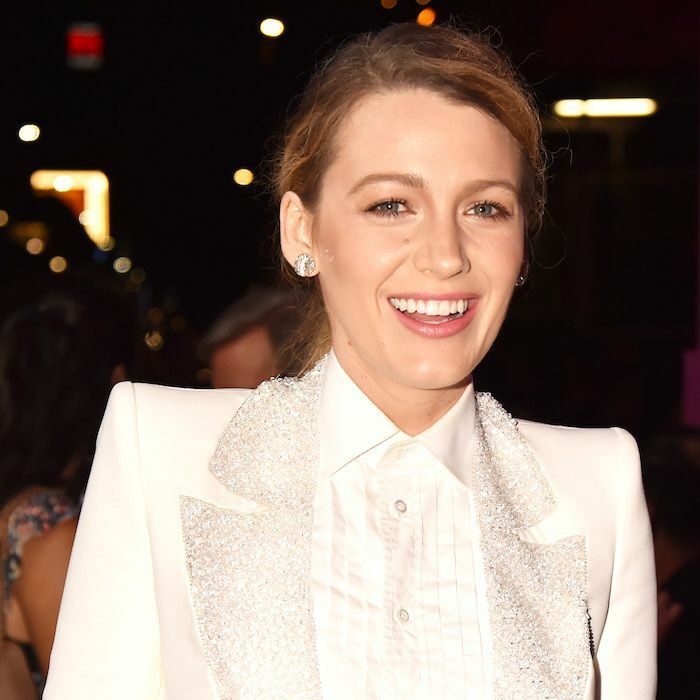 "I met Blake very early in her career, way back before the Traveling Pants series," he said. "I was doing her makeup for her first magazine cover, for CosmoGirl. I remember she was so nervous, and she said to me: 'I don't know what to do out there, I'm not a model!' So, I told her to look at me while she was shooting, and I stood behind the photographer, working model-like poses, and she just copied me. We bonded over that moment, and we've worked together since." He has nothing but nice things to say about the actress, who he's worked with for a decade now. "I've watched Blake grow over the past decade. And as some young celebrities change and transform not always for the best, Blake has maintained every bit of her personality. She's the same girl I met all those years ago. Her essence, her generosity, her levity, it's all the same. She's just this kind, conscientious person through and through—but her makeup leanings have changed a bit." Instead of harsh black mascara, Buckle and Lively opt for soft brown. Then they play it up with iridescent shadow for a more "modern" look. "When Blake was new in the business, she was so excited about the exploration of makeup. She wanted all the bells and whistles—lashes, contour, an overdrawn lip—so we look back and laugh at those early Gossip Girl posters, because she looked very done. Now, her whole look is a lot softer—except, obviously if we're working on an event like the Met Gala." 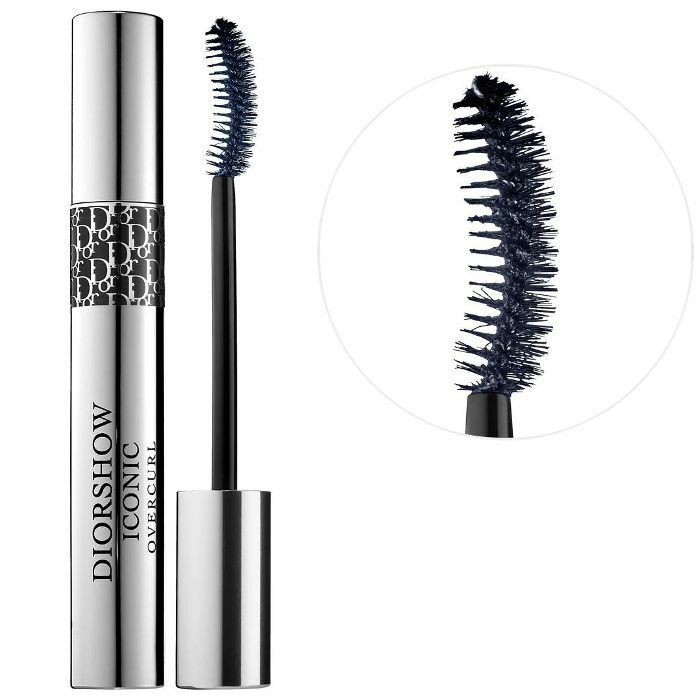 For lashes as light and fluttery as Lively's, we'll be using this classic Dior mascara, which curls lashes at the same time that it lengthens and defines them. It's available in a soft brown shade for a subtler yet just as fluffy effect. We think Blake Lively would approve. As for the rest of Lively's makeup, Buckle uses many of his own namesake products, though he switches it up according to the desired look. "My formula for Blake's makeup is pretty simple. We both look at makeup as paint—it's all about the color and the texture—and she's not sensitive about what I put on her face. It could be $2 or $100." He starts with the Kristofer Buckle Triplicity Foundation Stick in Medium Warm ($44). "Then I use my Warming Powder ($35) in both shades, light and deep, to highlight and define her bone structure." After a slight contour and a few strokes of his Brow Champion Pomade in Blonde ($38), he moves on to her eyes and lips. As for the former, he uses many different brands and shades. Like he said before, neither of them are picky when it comes to makeup products. If it works, it works. The same goes for lip color, although there is one shade, in particular, he calls his go-to for Lively. 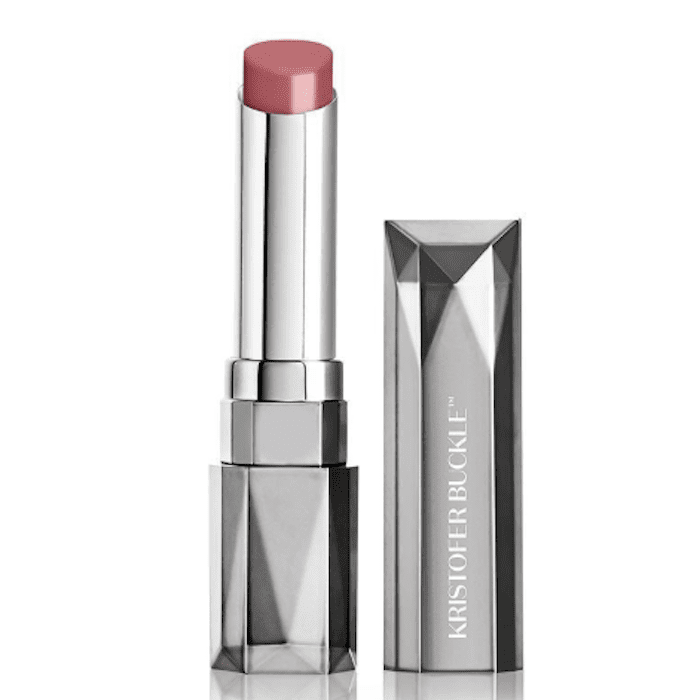 The winning shade is this rosy-pink shade, called Bardot, which is also from Buckle's namesake brand. Buckle calls it "a no-brainer because it's a pink she really likes." Although we consider it to be a little more, well, under-the-radar compared to other petal-pink shades, it offers ultra-pigmented color that lasts up to eight hours without flaking or leeching moisture out of the lips (that, my friends, is important). Save for a little highlighting product— because a radiant glow is never out of style—this lipstick is the finishing touch to many of Lively's most famous makeup looks. Please excuse us while we go purchase this lip color because we need to try it, like immediately. Now that we know Blake Lively's favorite shade of lipstick, let's move on to celeb-approved skincare. Next, see the $4 vegan face mask that Lea Michele swears by.